Women Crime Writers of the 40's and 50's - This site is an excellent introduction to the women writers of this period by Sarah Weinman. 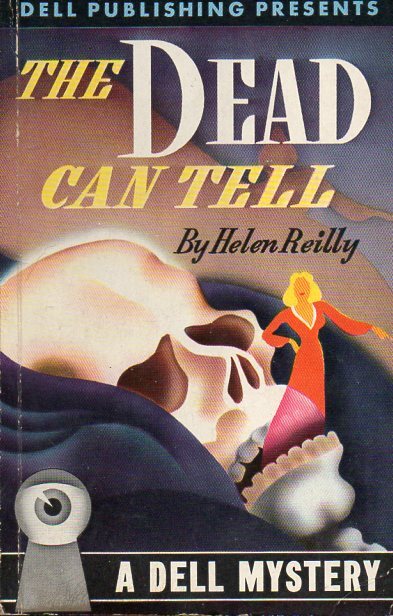 Helen Reilly (1891 - 1962) Helen Reilly was one of the first writers of police procedural novels. Helen Kieran grew up in New York City. She married Paul Reilly and they had four daughters. She started writing mystery novels at the urging of a friend and her first book, The Diamond Feather was published in 1930. Up to this time, women authors had been writing cozy mysteries, and Reilly's venture into police procedurals was so well done that there were some who believed that the books were written by a man using a woman's pseudonym. Her series detective was Inspector Christopher McKee of the Manhattan homicide squad.She wrote more than thirty books under her own name and three under the name of Kiernan Abbey. For more information, see the very informative article by Michael Grost. Rufus King (1893 - 1966) King's principal series detective was Lieutenant Valcour who was introduced in the book Murder by the Clock in 1929 and was in ten later novels in this series. King wrote only one book, Holiday Homicide featuring private detective Cotton Moon (1940). Interest in his novels fell off after this and King turned to writing short stories. King's novel Museum Piece No. 13 was brought to the screen by Fritz Lang as the Secret Beyond the Door in 1948. King was born in New York City, and served in the army in World War I. For more information on his writings, see The Golden Age of Detection web site. For more information on his movies, see the Internet Movie Database. Zelda Popkin (1898 - 1983) - Ms. Popkin wrote five mystery novels which featured Mary Carner, a store detective, who was one of the first female detectives in mystery literature. She also wrote one of the first novels about the Holocaust. For more information, visit this web site by her grandson. Dorothy B. Hughes (1904 - 1993) - Dorothy B. Hughes wrote crime novels and was a reviewer of mystery novels. She was born in Kansas City, Missouri. She graduated from the University of Missouri with a journalism degree. She wrote 14 mystery novels, some of which such as The Fallen Sparrow, and In a Lonely Place were made into films. From 1940 - 1979, she reviewed mystery novels for the Los Angeles Times, The New York Herald Tribune and other papers. In 1978, she wrote Erle Stanley Gardner: The Case of the Real Perry Mason which is a biography of that author. Hughes received two Edgar Awards, and was named a Grand Master of Mystery in 1978. Several of her novels have been reissued and are available at Amazon. More information about her films may be found at The Internet Movie Database. 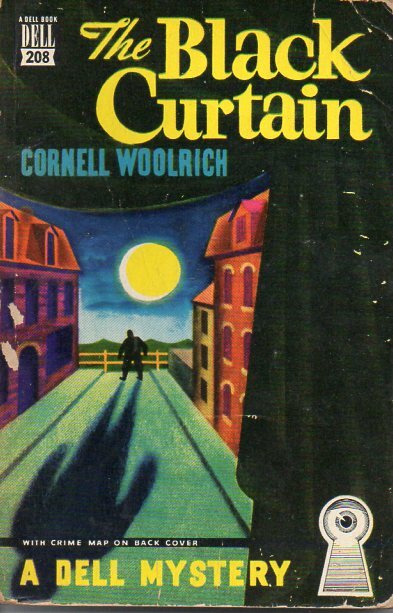 Cornell Woolrich (1903 - 1968) - Woolrich's childhood was spent partly in South America with his father and in New York city with his mother. He started writing novels while a student at Columbia University. These novels were in the style of F. Scott Fitzgerald and were not good sellers. He wrote his first mystery novel in 1934 and his career took off from there. He was a very strange man. His marriage lasted only a few weeks, and he lived with his mother for the rest of her life. They lived in cheap hotels even though he was making money good money. She died in 1957, and Woolrich went into a physical and mental decline. He had a very unfortunate life, and he was an alcholic, friendless, and feared that he was homosexual. Woolrich was a master of writing novels and short stories which were full of dread and terror, and they were very popular in their day. Many movies (including Rear Window) and TV series were based his writing, and a list of these may be found at the Internet Movie Data Base. A bibliography of his works may be found at Fantastic Fiction. Helen McCloy (1904 - 1994) - Ms. McCloy wrote a series featuring Dr. Basil Willing, a psychiatrist and consultant to law enforcement agencies. Helen McCloy studied at the Sorbonne and served as a foreign art critic for several US magazines. She returned to the US in 1932. She was one of the founders of the Mystery Writers of America, and was named a Grandmaster by the MWA in 1990. She was married to author Brett Halliday. Aspiring mystery writers may be interested in applying for the Helen McCloy Scholarship given by the MWA.Her biography and bibliography may be found at the Golden Age of Detection web site. Charlotte Armstrong (1905 - 1969) Armstrong was born in Vulcan, Michigan. She attended the University of Michigan and received her degree from Barnard College. She sold classified advertisement for the New York Times and also worked as a fashion reporter. She married Jack Lewi in 1925, and quit work to raise her three children. She published her first mystery Lay On, McDuff in 1943. After two other novels were published, she had great success with the novel The Unsuspected which was made into a movie as was a later novel Mischief. The film version of Mischief was named Don't Bother to Knock. She received an Edgar award for A Dram of Poison in 1957. Her novels were mainly novels of suspense. Her film credits are given at The Internet Movie Database. Further biographical information and a bibliography of her books may be found at The Golden Age of Detection Wiki. Chester Himes (1909 - 1984) wrote the first mystery series which featured African-American detectives. Himes was born in Jefferson City, Missouri. He graduated from Glenville High School in Cleveland. He entered Ohio State University but he engaged in several nonapproved activities and was expelled from the university. In 1928, he was arrested for armed robbery and sentenced to 20 to 25 years in prison. He was parolled to his mother in 1936. He worked at a variety of jobs including the Ohio State Writers project. At the start of World War II, he moved to Los Angeles where he published his first novel, If He Hollers, Let Him Go in 1945. In 1953, he moved to Europe. He is best know for his Harlem Domestic series of novels which features the detectives Coffin Ed Johnson and Grave Digger Jones. For a biography, visit the Detnovel web site. Margaret Millar (1915 - 1994) - Margaret Ellis Sturm was born in Kitchener, Ontario, Canada. She attended Kitchener-Waterloo Collegiate Institute as did her husband-to-be, Kenneth Millar. After college, they married, and Kenneth wrote under the pen name of Ross Macdonald to avoid the confusion of two mystery writers with the same last name. The Millars moved to the United States and settled in Santa Barbara, CA. Millar's first novel, The Invisible Worm, was published in 1941. She wrote mainly novels of psychological suspense. She won two Edgar awards and in 1983, received the award for lifetime achievement. She was elected president of the Mystery Writers of America in 1956. For more extensive biographical information, visit the Los Angeles Review of Books web site. A bibliography of her books may be found at the Golden Age of Detection web site. You may also find an article by Laura Lippman on Millar's novel Beast in View to be interesting. Patricia Highsmith (1921 - 1995). Highsmith is a master of the crime novel. Ms. Highsmith was born in Fort Worth, Texas. She attended public schools in New York City, and graduated from Barnard College. Her first suspense novel, Strangers on a Train was published in 1950 and was an immediate success. Her subsequent books were much better received in Europe than in the United States. She is well know for the series about murderer and con man, Tom Ripley. The first Ripley book was The Talented Mr. Ripley which was published in 1955. More biographical information may be found at Wikipedia. A list of movie and TV shows based on her writings may be found at the Internet Movie Database. Tony Hillerman (1925 - 2008) Hillerman was born in Sacred Heart, Oklahoma. He had a career in journalism and wrote a series of novels featuring Navaho Tribal policemen Leaphorn and Chee. The first of these was The Blessing Way which was published in 1970. He was named a Grand Master of Mystery in 1991 by the Mystery Writers of America. A bibliography and short biography may be found at Fantastic Fiction. An annotated list of Hillerman's book may be found at the Dancing Badger web site. Julie Smith (1944 - ) Born in Maryland, raised in Georgia, and now residing in New Orleans. Ms. Smith has written several series. The Skip Langdon series features a woman police detective in New Orleans. The first book in this series New Orleans Mourning won the Edgar Award. Ms. Smith also writes a series about African-American poet and private investigator Talba Wells who also lives in New Orleans. A biography and bibliography may be found at Wikipedia. Also visit her Web site.